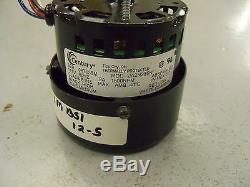 This is a brand new replacement blower motor for a buck. 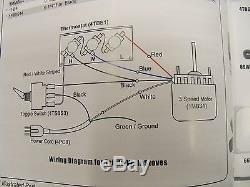 It is a 3 speed motor, one red wire, one black wire, one white wire, one blue wire. Model # JA2N265N, 115V, 60HZ, . 9A, 1500 RPM, CLASS B INS. Shaft size: 5/16 x 2 1/2" Mounting studs: #8 x 9/16" and 2 7/8 apart. 4" in diameter and total length is 6 1/2". The item "MOTOR BUCK REAR MOUNT 1MBS1 THREE SPEED 1500 RPM 3 WOOD STOVE BLOWER" is in sale since Tuesday, January 10, 2017. 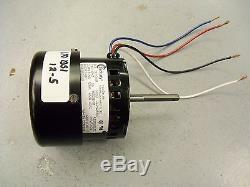 This item is in the category "Home & Garden\Home Improvement\Heating, Cooling & Air\Fireplaces & Stoves\Replacement Parts". The seller is "xxr3213" and is located in Madison, Indiana.